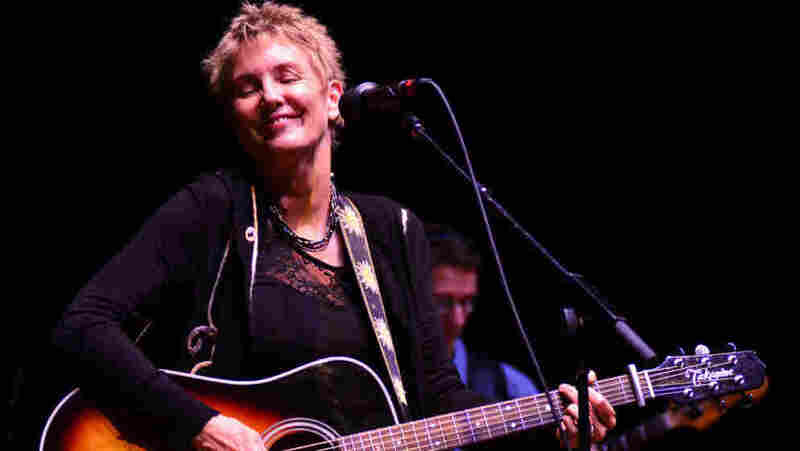 Eliza Gilkyson On Mountain Stage The singer-songwriter stops by to play lyrical folk-Americana songs from her latest record, Roses at the End of Time. Singer-songwriter Eliza Gilkyson makes her sixth appearance on Mountain Stage, recorded live in Charleston, W.V. She's backed by the Mountain Stage band throughout most of her set, which includes songs from her latest album, Roses at the End of Time. Politically aware, with a poet's lyrical gifts, Gilkyson is enormously respected in roots-music, folk and Americana circles. She's been nominated for a Grammy, appeared on Austin City Limits, and toured with fellow heavyweights like Richard Thompson, Patty Griffin and Mary Chapin Carpenter. In February 2003, Gilkyson was inducted into the Austin Music Hall of Fame alongside Willie Nelson, Townes Van Zandt, Nanci Griffith, Billy Joe Shaver, Butch Hancock and Joe Ely. In 2011, she joined her friends John Gorka and Lucy Kaplansky on Mountain Stage as part of the folk supergroup Red Horse. This performance was originally published April 4, 2012.